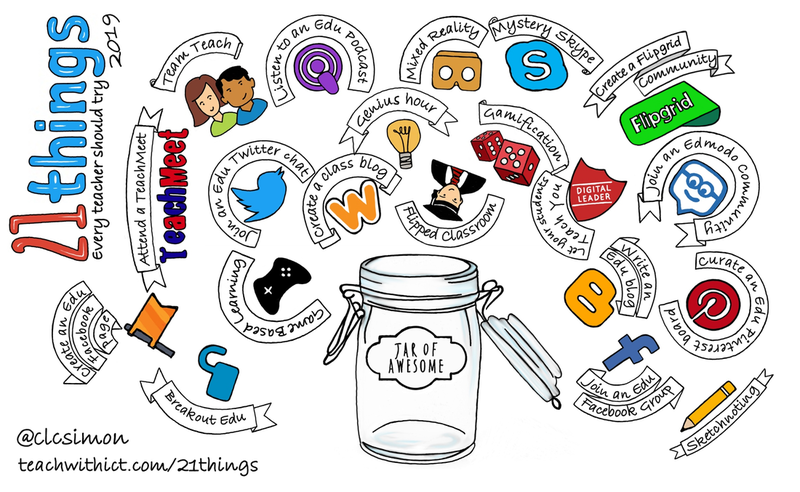 21 things teachers can do to grow their PLN (Professional Learning Network)! ​What are the benefits of being a connected educator? Ability to connect with a global audience - also gives students a greater audience for their work. 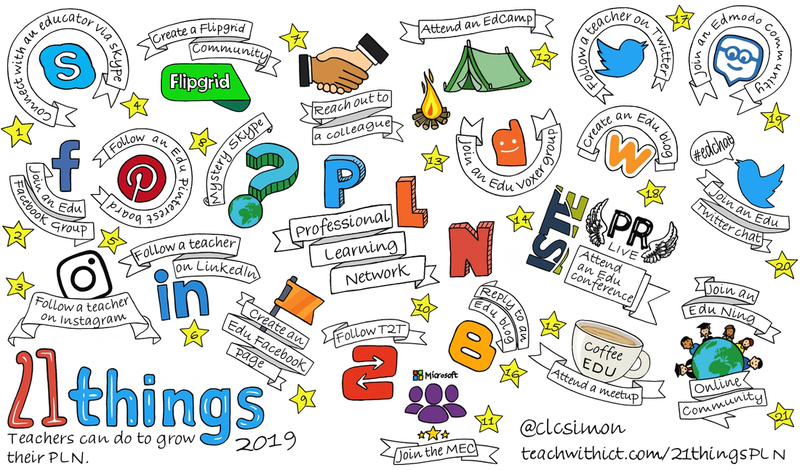 The idea behind the #PLN challenge is to provide some easy ways to help educators to become better connected! ,Connect with an educator via Skype in the classroom. Join an education Facebook group. Follow a teacher on Instagram. Follow a teacher / edu board on Pinterest. Follow a teacher on LinkedIn. Reach out to a colleague. Create an education Facebook page. Join the MEC (Microsoft Educator Network). Join an education Voxer group. Reply to an education blog. Follow a teacher on Twitter. Write and publish an education blog post. Join an Edmodo PD group / community. Join an education Twitter chat. ​Join an education Ning, forum or online community. 21 things every teacher should try!